Harry Hodgkin undertakes commercial, contractual and property work both in court and by way of advice and drafting over a range of practice areas and business sectors, including international and cross border disputes. He is an arbitrator and a well known mediator. He is a team player who enjoys working with lay and professional clients to identify and resolve problems in a way that is best suited to the client's needs. He speaks plainly, adopts a pragmatic approach to cases, prepares cases assiduously and is an effective and well-established senior advocate. Drafting commercial documentation and advisory work in relation to the above areas for both professional and corporate clients on a public access basis, with a particular emphasis on problem solving, negotiation and business development. Harry is an experienced High Court advocate. A company director himself, Harry knows the mechanics of business, commercial negotiations and contractual detail. He likes to get involved at an early stage so as to ensure that the negotiation or dispute is properly managed. He has served on the board of the Civil Mediation Council, the Civil Justice Council, and as it then was, the Department of Constitutional Affairs Dispute Resolution Committee. He was instrumental in setting up the National Mediation Helplines. At the forefront of the development of effective court based schemes, Harry has a clear insight into the logistic, ethical and administrative issues that they raise, given his contacts with the judiciary, the Department and practitioners generally. On a personal level, Harry is married and enjoys being Dad. He also paints, goes mountain walking with his dogs, and loves opera and baseball. Joint Founder of Clerksroom in 2001. 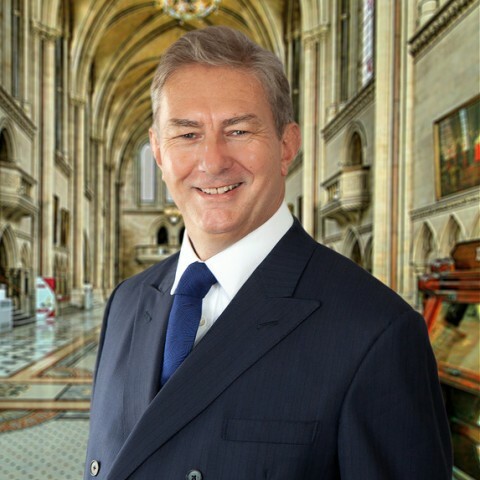 Chairman of the board for the Clerksroom Group of Companies including Clerksroom Barristers, Clerksroom Mediation and Clerksroom Direct, Public Access Portal. Head of Chambers. Harry [Hodgkin] took on our brief and responded quickly with all the skill and expertise required. He was quick to appreciate and deal with the commercial issues involved, which were of paramount importance to us. I have instructed Harry [Hodgkin] for a number of years. He is an excellent advocate with great courtroom presence. However, it is Harry's work outside court that particularly sets him apart. He is very quick to grasp the legal and factual issues. His rapid and accurate assessment of practical and commercial considerations allows cases to progress on a realistic and sound footing with an increased likelihood of settlement. He is accessible and personable both with professional and lay clients. Harry Hodgkin's extensive knowledge of the law, applied to the highest professional standard, has enabled me to take my commercial litigation practice to new levels. Harry has that rare ability of being able to dissect the most daunting legal issue, and make it appear effortless. Harry Hodgkin represented one party in a difficult mediation in an exemplary manner. A settlement of the complicated dispute followed as a result of his helpful, sensible and practical approach. Harry [Hodgkin] did a fantastic job on our behalf. We were amazed how he managed to get his head around all the facts in such a short time scale. Outside of these key areas of law, Harry Hodgkin (1983) is always willing to consider any enquiry requiring the experience or knowledge needed to help you or your client. Please call Harry direct or the support team on 01823 247 247 if you would like to discuss any aspect of this profile. Hakimzay Ltd v Swailes  EWHC B14 (Ch) (25 February 2015) (Bailii). The effect of serving a notice to complete and making time of the essence of the contract can be misunderstood, as this case illustrates. Service of a notice to complete does not make time of the essence on an ongoing basis. Service of a notice to complete fixes a date for performance. Failure to perform by the date that has been fixed constitutes a repudiatory breach of contract. The innocent party can elect not to accept that repudiation and so the contract continues. The basis of that non-acceptance may be that a new date for completion is agreed. Whether time is of the essence in relation to that new date will depend on the facts and the basis upon which the new date is agreed. The defaulting party cannot unilaterally re-write the terms of the agreement, for example, by offering late performance.